Adam Shartzer is a Principal in the Washington, D.C., office of Fish & Richardson. His practice focuses on high-stakes patent litigation in district courts and at the U.S. International Trade Commission (ITC). These cases cross numerous technologies including computer hardware and software, microprocessors, televisions, mobile communication devices, set-top boxes, compression technology, GPS technology, oil industry technology, and semiconductor manufacturing processes. 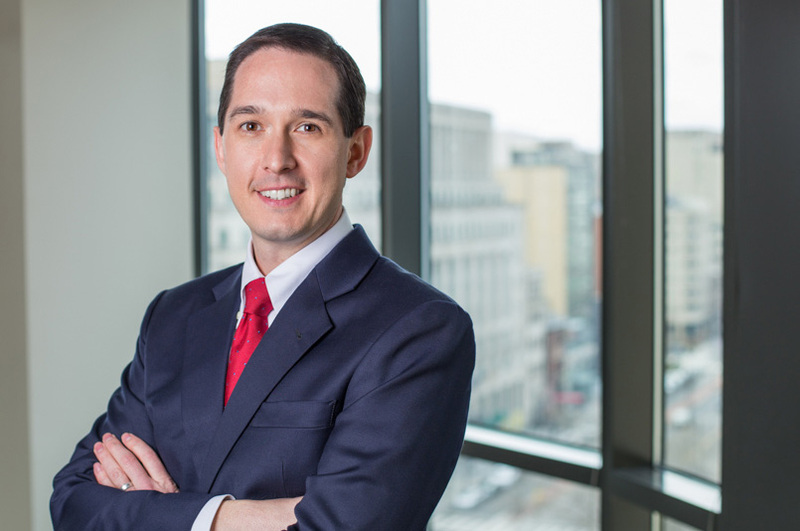 Mr. Shartzer also serves as Fish & Richardson’s national recruiting principal for clerks from the U.S. Court of Appeals for the Federal Circuit and serves on the firm’s diversity committee. Mr. Shartzer litigates cases across the country including the Eastern District of Texas, the Northern District of California, the District of Delaware, the Court of Appeals for the Federal Circuit and the U.S. International Trade Commission. Additionally, he advises clients regarding post-grant review strategy and over the past several years has managed or assisted with over 50 inter partes review matters at the U.S. Patent and Trademark Office. Mr. Shartzer’s experience includes argument and taking witnesses at numerous trial and post-grant proceedings, appellate briefing and argument, all aspects of discovery and formulation of claim construction and litigation strategies. Mr. Shartzer also serves on the Advisory Council for the U.S. Court of Appeals for the Federal Circuit and devotes time to representing veterans seeking disability benefits before the U.S. Court of Appeals for Veterans Claims. Mr. Shartzer was previously a Judicial Law Clerk to the Honorable Sharon Prost at the U.S. Court of Appeals for the Federal Circuit (2010-2011). In addition, he served as a Judicial Intern to the Honorable Richard Linn at the U.S. Court of Appeals for the Federal Circuit (2007-2008), as well as a Judicial Intern to the Honorable Robert L. Barton, Jr., at the U.S. International Trade Commission (2007). Mr. Shartzer was previously a Summer Associate with Fish & Richardson (2007) and worked as an engineer for Solers, Inc. (2003-2005). Patent Litigation 101: Empirical Support for the Patent Pilot Program’s Solution to Increase Judicial Experience in Patent Law, 18 Fed. Cir. B.J. 191 (2009). “How the Use of Discovery is Evolving in Inter Partes Review Proceedings,” Fish Post-Grant for Practitioners Webinar Series, June 12, 2013. “The New Age of Enforcement: Post-Grant. How to Avoid Being the Victim When Asserting Your Patents,” The IP Strategy Summit: Enforcement, Washington, DC, May 29, 2013. Board of Trustees of the University of Illinois v. Micron Technology, Inc. (Appeal Nos. 14-1509, -1510, -1511) – Represented appellee Micron in appeals of three final written decisions by the PTAB rendering invalid all claims of three University patents. The Federal Circuit affirmed the PTAB’s judgment. Syntrix Biosystems, Inc. v. Illumina, Inc. (Appeal No. 14-1690) – Represented appellant Illumina in an appeal of a jury verdict in a case where we did not represent Illumina in the district court. The appeal settled after briefing was complete but before oral argument. OneSubsea IP UK Limited v. FMC Technologies, Inc. (2:15-cv-445, Eastern District of Texas) – Representing Defendant/Counterclaim Plaintiff FMC Technologies in a twelve patent litigation regarding subsea drilling equipment. Judge Gilstrap granted our client FMC’s motion to transfer to the Southern District of Texas. Realtime Data LLC d/b/a/ IXO v. Echostar Corporation and Hughes Network Systems, LLC (6:15-cv-466, Eastern District of Texas) – Defending Echostar and Hughes Network Systems in a four patent litigation regarding compression technology. Intelligent Verification Systems, LLC v. Microsoft Corporation (2:12-cv-525, Eastern District of Virginia) – Defended Microsoft in a litigation involving gaming technology. Weeks before jury trial, was responsible for summary judgment briefing regarding the Plaintiff not being entitled to reasonable royalty damages. The Plaintiff stipulated to summary judgment, thereby avoiding trial, and the case is pending appeal. Location Services IP, LLC v. Uber Technologies, Inc. (2:15-cv-01208, Eastern District of Texas) – Represented Defendant Uber in a three patent litigation regarding GPS technology resulting in an early favorable settlement for Uber. Rothschild Location Technologies, LLC v. Uber Technologies, Inc. (6:15-cv-685, Eastern District of Texas) – Represented Defendant Uber in a two patent litigation regarding GPS technology resulting in the Plaintiff voluntarily dismissing its complaint. EMS Technologies, LLC v. Micron Technology, Inc. (2:14-cv-900, Eastern District of Texas) – Represented Defendants Micron and IMFT in a suit alleging infringement of two patents related to memory technology. Following personal jurisdiction and transfer motions practice, the case settled favorably for Micron and IMFT. MLC Intellectual Property, LLC v. Micron Technology, Inc. (5:14-cv-3657, Northern District of California) – Representing Micron in a suit alleging infringement of one patent related to memory technology. Bose Corporation v. Monster, Inc. (1:14-cv-11762, District of Massachusetts) – Represented Bose in its claim of infringement by Monster of a single patent related to in-ear headphone technology. The case settled favorably for Bose prior to the hearing in a related USITC Investigation. Sling Media, Inc. v. Belkin Int’l, Inc., Monsoon Multimedia, Inc., and Mr. Prabhat Jain (3:13-cv-0074, Northern District of California) – Represented Sling Media in the litigation following a successful outcome in the USITC. Belkin settled early, while the case proceed with Monsoon Multimedia and Mr. Prabhat Jain. The case settled favorably for Sling Media. Lake Cherokee Hard Drive Technologies, LLC v. Marvell Semiconductor, Inc. (2:13-cv-762, Eastern District of Texas) – Defended the Marvell defendants and others in claims related to a single patent regarding hard drive technology. The case settled favorably for our clients. Lake Cherokee Hard Drive Technologies, LLC v. Marvell Semiconductor, Inc. (2:13-cv-695, Eastern District of Texas) – Defended Marvell and others against Lake Cherokee’s claims as to two patents previously found non-infringed by a jury in an earlier case. The case settled favorably for our clients. Lake Cherokee Hard Drive Technologies, LLC v. Marvell Semiconductor, Inc. (2:10-cv-216, Eastern District of Texas) – Defended Marvell through jury trial against claims of infringement regarding two patents related to hard drive storage technology. After successfully slashing the damages base by nearly 75% on summary judgment, Marvell received a non-infringement verdict on both patents. The Board of Trustees of the University of Illinois v. Micron Technology, Inc. (2:11-cv-02288, Northern District of Illinois) – Defending Micron against claims of infringement regarding three patents related to semiconductor manufacturing steps. The Court issued judgment in favor of Micron on its claims of non-infringement and invalidity. Marvell Semiconductor et al v. Commonwealth Scientific and Industrial Research Organisation (6:07-cv-204, Eastern District of Texas) – Took over lead role representing Marvell and preparing its case for trial. The litigation settled favorably just before trial following a claim construction order from the Court. Certain Earpiece Devices Having Positioning and Retaining Structure and Components Thereof (337-TA-912) – Represented complainant Bose Corporation in an investigation of alleged infringement by Monster, Inc. of a single patent regarding in-ear headphone technology. The ALJ rendered favorable decisions for Bose on summary determination of the economic prong for domestic industry, a motion to strike Bose’s technical expert report, a Daubert motion against Bose’s expert, respondent’s motions for summary determination of invalidity and unenforceability due to inequitable conduct and claim construction. The investigation settled favorably for Bose just before the scheduled hearing date. Certain Electronic Devices Having Placeshifting or Display Replication Functionality and Products Containing Same (337-TA-878) – Represented complainant Sling Media, Inc. regarding infringement claims as to six asserted patents related to placeshifting technology. The Commission issued a limited exclusion order and a cease and desist order against remaining respondents. Certain Electronic Devices Having Image Capture or Display Functionality (337-TA-672) – Represented complainant LG Electronics in investigation enforcing patents related to image capture and display. Litigation settled favorably after the evidentiary hearing. Certain Mobile Telephones and Wireless Communication Devices Featuring Digital Cameras (337-TA-663) – Represented respondent LG Electronics in a patent case brought by Eastman Kodak. Case went to trial in Fall 2009 but the parties settled before a decision was issued by the Judge or Commission. Certain Liquid Crystal Display Devices and Products Containing the Same (337-TA-631) – Represented Samsung Electronics against Sharp Corporation in a patent case relating to LCD monitors, televisions, and mobile devices. Apple Inc. v. Ericsson (IPR2016-00109, -00110) – Represented Apple in multiple IPRs filed against patents at issue in related litigation. Upon a global settlement between the parties, the IPRs were dismissed prior to institution. Arista Networks, Inc. v. Cisco Systems, Inc. (IPR2015-00978) – Representing Arista in an instituted IPR regarding a patent asserted in a related USITC investigation. Mobotix Corp. v. ComCam Int’l, Inc. (IPR2015-00093) – Representing Mobotix in an instituted IPR. Tiffany & Co. v. Lazare Kaplan Int’l, Inc. (IPR2015-00024) – Representing Tiffany in an instituted IPR related to a patent in litigation. Marvell Semiconductor, Inc. v. Intellectual Ventures I LLC (IPR2014-00548, -00552, -00552) – Represented Marvell in a series of IPRs filed against two IV patents. The Board issued final written decisions cancelling claims in both IV patents. Micron Technology, Inc. v. The Board of Trustees of the University of Illinois (IPR2013-00005, -00006, -00008) – Represented and argued on behalf of Micron in three instituted IPRs regarding semiconductor processing patents asserted in a co-pending district court litigation. The PTAB issued Final Written Decisions in all IPRs finding all claims of the three University patents invalid. Mobotix Corp. v. E-Watch (IPR2013-00334, -00335, -00337) – Represented Mobotix in three instituted petitions for review asserting invalidity of patents related to networking technology. The Board rendered Final Written Decisions resulting in the invalidity of all challenged claims of all three patents. Mobotix Corp. v. E-Watch (IPR2013-00498, -00499) – Representing Mobotix in two instituted petitions related to earlier-filed IPR petitions. Pending final disposition. Represented client in a contentious dispute resulting in a week-long arbitration trial and was responsible for putting up our technical expert on direct regarding multiple patents. The arbitrator’s binding decision resulted in a favorable outcome for our client.